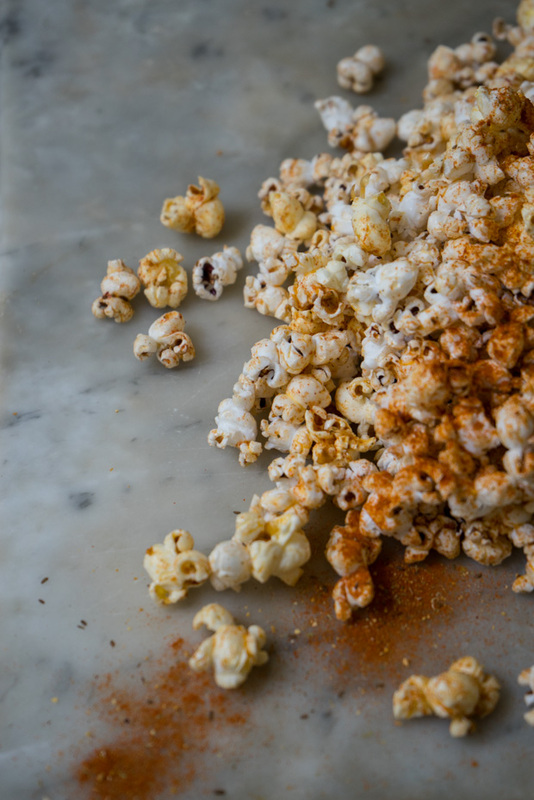 This is what happens when popcorn meets the flavors of a Bloody Mary cocktail. The magic is a simple-but-strong spice blend made from tomato, oregano, a bit of citrus, oregano, and celery. And before we get to the recipe, I know the main question I'm going to get is about sourcing tomato powder. Look for it at any well-stocked spice store, or do a search for organic tomato powder on-line. It's incredibly flavor-forward, lycopene-rich (anti-oxidant, anti-inflammatory, skin supportive, etc. ), and versatile. I love it in buttermilk dressings, savory yogurt, sprinkled on egg salads or frittatas, or as an amplification for tomato salads when it's peak summer. Alternately, you can make your own using a dehydrator. A summery chia breakfast bowl - soak the chia seeds in your favorite nut milk, top with smashed berries, fresh passionfruit juice, pepitas, and big flakes of toasted coconut. A bit of bee pollen adds a boost and some pretty.